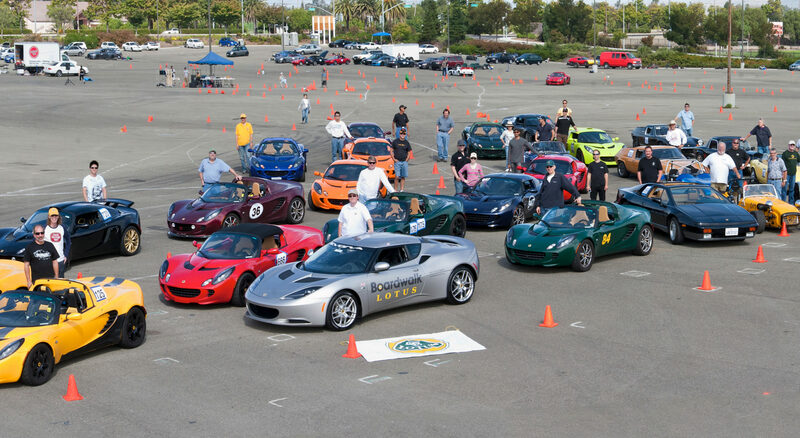 Registration is now open for the Golden Gate Lotus Club’s fourth track day of the year. This event will be held at Thunderhill Raceway Park in Willlows, CA on Tuesday, September 25, 2012. We will follow our traditional format of three run groups, allowing you to bridge two run groups in order to give you maximum track time. We will be running in the normal (counter-clockwise) direction WITH THE BYPASS this time. Participants will sign up for either Novice/Intermediate, or Intermediate/Advanced depdending on your experience level. Early Bird pricing will be $140 for members and $160 for non-members. That price will increase after 9/12/2012 to $160 for members and $180 for non-members. Click here to register and sign-up early to ensure you pay the lower price. Please note that this event is on Labor Day Monday. Non-members will be able to register one week later. The Frst annual Cars, Karts and Kids Car Show will be held in Fremont, California, Saturday, August 25, with hundreds of exotic and collector cars, Kart Challenges, and a silent auction featuring auto enthusiast items and memorabilia. There’s no admission charge, but a suggested donation of $l0 is requested for general admission with kids l2 and under free with an adult. All proceeds go to Big Brothers Big Sisters of the Bay Area. Why Big Brothers Big Sisters of the Bay Area? “Six months ago a number of us who knew about the valuable work being performed by BBBSBA decided to help,” said Dietsch. ” With my experience servicing and repairing Lotus cars at Dietsch Werks and Eric Traylor of the excellent and nearby Lemans Karting facility an auto event seemed a natural. As soon as they heard about our plans, we got immediate backing from the Lamborghini Club of America, Apple Auto Club, Nor Cal Shelby Club, Ferrari Club of America/Paci?c Region, Ferrari Owners Group, EuroSunday, BMW Club, Porsche Club and Fiat America. They’ll all be represented at our show. Cars, Karts and Kids will be presented at 45957 Hotchkiss Street in Fremont. Full details including advance tickets donations and a map are available at www.carskartsandkids.com.